We thank you for the valuable time you spend giving us this feedback. This page is specifically to receive feedback, ideas, suggestions and criticism about SST's products, processes or employees. If you had a good or a bad experience with any one of us at SST, or our products or processes, please do not hesitate to share it with me in the form of this email using the form below, as I would take it as constructive feedback. I personally thank you for taking the time to submit this feedback. I guarantee that I will personally respond to your message within 48 hours. I will also pass on the suggestions and ideas to the appropriate colleague of mine. Your feedback is invaluable and we will definitely take action. 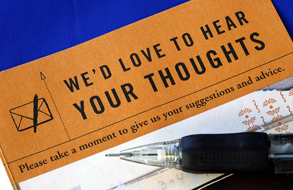 Please confine your use of this form to submit suggestions, ideas, criticism and compliments about our people, processes, products and services. Note: Your personal information will be held confidential and will not be revealed to any one.